Switches for harsh outdoor applications are exposed to the most extreme influences: Vandalism, weather, fluctuations in temperature, fine dust and more. Furthermore, the demands placed on designers and manufacturers of input systems for a high level of aesthetics are rapidly increasing. What is SCHURTER's response to these demands? Metal Line switches are extremely resistant. They meet the mechanical shock requirements up to IK 07 according to DIN EN 50102. The switches are designed for a lifetime of up to 20 million activations. High-quality metal housing is a feature shared by all Metal Line switches. This not only makes them extremely robust and durable, but also ensures they can withstand tactically and visually demanding applications. The Metal Line consists of buttons and switches designed with classic stroke technology (short and medium stroke) or piezo impulse activation. For the special requirements of creating a button within the series for the visually impaired, the PSE 22 model was designed with the option of integrating Braille lettering. There are the new metal buttons with a completely backlit actuating surface, which can be labeled using laser technology to suit the individual customer requirements. The special feature of this new development is the extremely robust ceramic surface of the backlit actuation surface. In most cases, where appliances are exposed in the open without any form of protection, calculations must take into account sub-zero temperatures and therefore also snow and ice. Under such conditions, switches with stroke can temporarily malfunction. Pollution, dust, exhaust gases or even spilled liquids are other factors that can make life difficult for an input system. Input systems set up outdoors are often more exposed to deliberate vandalism and improper handling. It is essential that they feature high impact resistance and/or a high level of impermeability. It is exactly for all these reasons that the Metal Line offers the right switch for every conceivable application. 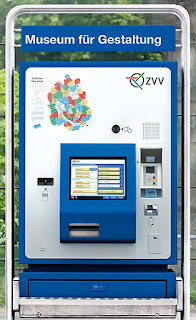 Ticket machines for public transport are almost exclusively located outdoors and are exposed to the effects of the wind and weather. These situations are elegantly avoided with a piezo-actuated system of the SCHURTER PSE series. The completely sealed metal housing does not contain any moving parts, which makes it impervious to exhaust gases and dust particles from the streets that usually run next to them. The high degree of IP protection (IP67) as well as a particularly high impact resistance (IK value) also protect these kind of input systems against deliberate vandalism and improper handling. 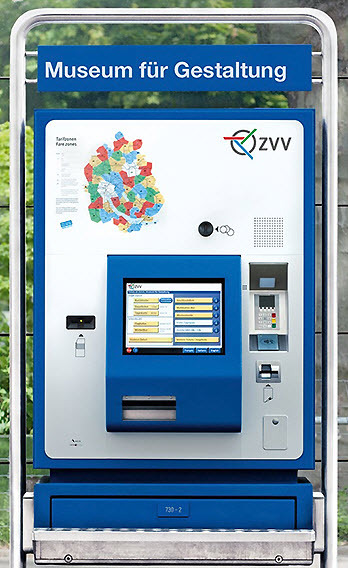 Pay machines in car parks or petrol stations usually have to work in far less harsh conditions. Huge numbers of people use these electronic payment systems every day. These transactions have to be completed quickly - even in the dark. The buttons have to be big enough, easily recognizable and - in case of poor light conditions - illuminated. Buttons with a high degree of tactility are clearly advantageous in these cases. An ideal application for the SCHURTER MSM series. The high-quality materials used for the housings and actuators are designed for maximum reliability, robustness and durability. The buttons are available in all sizes and can be illuminated and marked according to the customer's requirements. The Metal Line is tough. Thanks to its high protection class (splash-proof IP67 with the PSE series), it is particularly suitable for applications in the harshest environments. Wind and weather, ice and snow - you can always rely on it to do its job. The Metal Line is also largely unaffected by malicious vandal acts. Thanks to its particularly flat design and impressive impact resistance, there is very little contact surface for any acts of vandalism.